Great idea, difficult execution, it sounds like. I think your idea (doing it with your own batter and bacon) is a winner though. Did you see the Chronicle this morning? Nice bacon article. 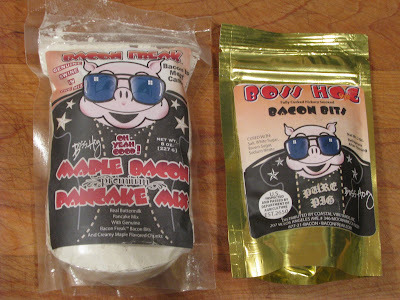 Maybe the bacon bits were vegan which would 'splain why they tasted like &#%+ ! 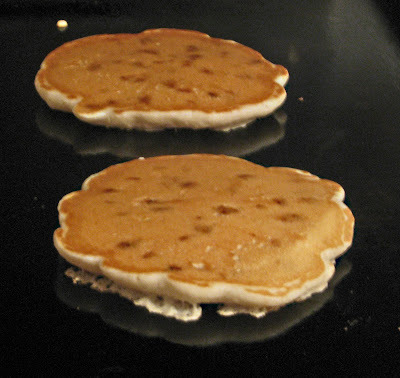 Chris, come on over and I will make you bacon pancakes. Zoomie, I just read it. I am glad about the popularity of bacon. I do have problems with using buzz words like artisan,boutique,etc and then charging 12/pound.The majority of our meat adventure are to local producers. They make some of the best products and charge a fraction of the Bay Area prices. 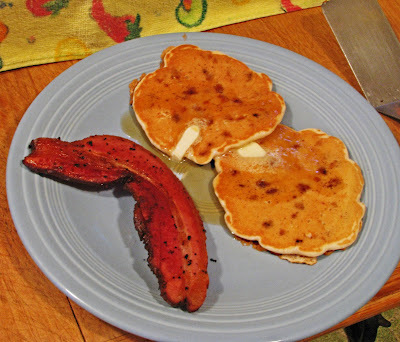 Love the idea of bacon in pancakes, with some maple syrup mmmmm. I agree, some bacon bits are so odd. We like Oregon wine too. It is kind of funny because we live 25 minutes away from Napa. They both are good. "All Things Bacon" may have finally gone too far. I'm sleeping on bacon sheets.